A 16 year old takes a year off high school and travels for six months to document real life stories of the human spirit to triumph over adversity. Find Hope. Be Resilient. Take Action. Kasha Sequoia Slavner, aka The Sunrise Storyteller, is a GenZ filmmaker, photographer, entrepreneur, young global leader and peace advocate. As a concerned high school student, disillusioned and outraged by the negativity and powerlessness she felt as a consumer of mainstream media, Kasha was compelled to find an alternative narrative. On her 16th birthday, on an ambitious mission to travel the world for six months with her mom, camera in hand and no clear roadmap, she finds herself intersecting with the lives of people determined to rise above adversity. Through the eyes of a teenager, in search of what it means to be a global citizen, we are exposed to resilient human stories that serve as a beacon of hope for others to take action. Her epic journey across 7 countries introduces us to trailblazers who are finding sustainable and creative solutions to some of the world’s most pressing issues. Upon return she meets & interviews Vietnamese-Canadian napalm bomb survivor & Unesco Goodwill Ambassador Phan Thi Kim Phuc, the nine-year-old child depicted in the Pulitzer Prize-winning photograph taken during the Vietnam War on June 8, 1972, who brings to the film a crucial message about forgiveness and peace. For this segment of the film, Kasha was recently awarded the Ron Kovic Peace Prize as well as the Eva Haller Prize for Women Transforming Media. 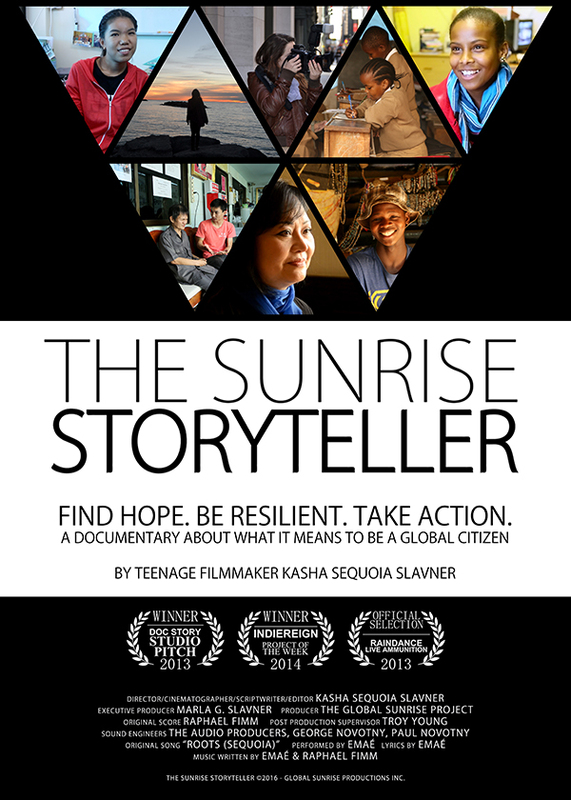 Supported entirely by community & crowdsourcing efforts, The Sunrise Storyteller is not only a testimonial to the strength of those she encounters, and those she hopes to inspire, but is also a hero’s journey of a young first-time filmmaker determined to make a difference, proving where there’s a will there’s a way. 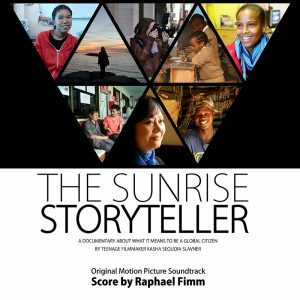 Update: April 2019 -The Sunrise Storyteller has screened at 58+ festivals globally and won 28 awards to date. The Sunrise Storyteller is a beautifully shot film by an impressive young first-time filmmaker, Kasha Sequoia Slavner, a teenager determined to make a difference. With her compelling storytelling, Kasha touches on many world issues, highlighting stories of resilience to prove that a new narrative, one of hope, is possible. This inspirational, well-crafted and timely film that touches the heart, is just what is needed to encourage all of us to come together as global citizens. By purchasing the Original Motion Picture Soundtrack (excluding Roots (Sequoia) by Emaé), 25% of the net proceeds will be donated to a grassroots organizations featured in the film. 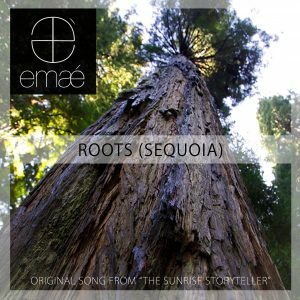 By purchasing ‘Roots (Sequoia)’, the original theme song of The Sunrise Storyteller, 25% of the net proceeds will be donated to grassroots organizations featured in the film.